I left work an hour late today as I was blowing up my share of 100 balloons and hanging up bunting! 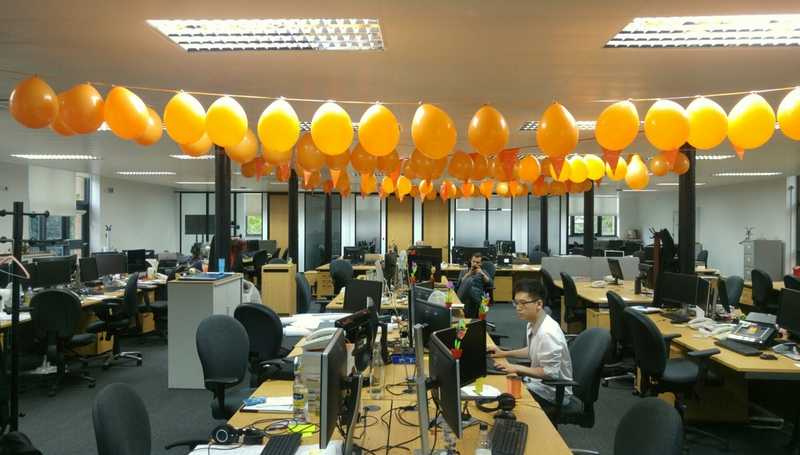 We’re decorating our section of desks as we’re representing the Netherlands for the Olympics. Each section of desks have been dedicated a team and being the creative team, we tend to go a bit overboard – most people just have a flag! 31/07/16 – Day at the zoo!